Even in a place as foggy as San Francisco, there's more than enough sunlight to make solar electric systems not only technically feasible, but also financially attractive. This innovative, award-winning tool allows San Francisco residents and businesses to evaluate their building's solar resource potential. Find your home or building on the map to see your solar electric or water heating potential. By leveraging group purchasing power, local small and mid-sized commercial property owners have secured a 20% discount for the buying group and can access streamlined financing options to install solar PV for little to $0 down. To accelerate the adoption of solar electric systems in San Francisco, the City is offering incentives to San Francisco residents, businesses, and non-profits to install solar on their properties. Read about solar installation and stories that highlight how solar power is saving money, cutting carbon, bringing smiles, and changing lives in SF. San Franciscans share their solar experiences in our catalogue of case studies. CleanPowerSF is the City's Community Choice Aggregation (CCA) Program, which allows cities and counties to pool their citizens' purchasing power to buy electricity. The Pacific Energy Center offers free educational classes on energy efficiency and renewable energy topics. 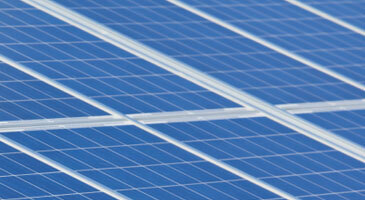 Weekly webinar series on timely and important solar issues. Each Wednesday 'Get Some Sun' features fresh perspectives that help shed light on all issues solar.